Some surgical errors are caused by mixing up patient medical records, X-rays or biopsy samples. (Health.com) -- Unthinkable errors by doctors and surgeons -- such as amputating the wrong leg or removing organs from the wrong patient -- occur more frequently than previously believed, a new study suggests. Over a period of 6.5 years, doctors in Colorado alone operated on the wrong patient at least 25 times and on the wrong part of the body in another 107 patients, according to the study, which appears in the Archives of Surgery. So-called wrong-patient and wrong-site procedures accounted for about 0.5 percent of all medical mistakes analyzed in the study. Although these serious errors are rare overall, the numbers seen in the study are "considerably higher" than previous estimates, researchers say. In fact, the surgical blunders reported in the study are probably "the tip of the iceberg," says the lead researcher, Dr. Philip Stahel, M.D., a surgeon at Denver Health Medical Center. The actual number of patient and site mix-ups is likely much higher, says Stahel, describing those mistakes as "a catastrophe." Catastrophic surgical errors are "a lot more common than the public thinks," says Dr. Martin Makary, M.D., a professor of surgery and public health at Johns Hopkins University, in Baltimore. "Each hospital, whether they publicly admit it or not, and whether or not it's discoverable in a lawsuit, has an episode of wrong-site or wrong-patient surgery either every year or once every few years," says Makary, who wrote an editorial accompanying the study. "Almost every surgeon has seen one." The errors in the database -- some of which originated with other doctors or support staff, rather than surgeons -- were caused by a range of slipups, including mixing up patient medical records, X-rays, and biopsy samples. All of the mistakes could be traced back to some form of miscommunication. In one wrong-patient procedure, hospital staff confused two patients with the same first and last name who were in a doctor's office at the same time; in another, staff members brought the wrong child into the operating room. Examples of wrong-site errors included removing the wrong ovary or irradiating the wrong organ. "One of the worst cases I saw in this study was two patients who had had prostate biopsies," Stahel says. "One had cancer and one did not. Clinicians mixed up the samples and the patient without cancer had a radical prostatectomy -- which is a huge surgery, removal of an organ for nothing -- while the patient with cancer [was] still walking out in the community, not knowing his true diagnosis." Overall, one-third of the mistakes led to long-term negative consequences for the patient. One patient even died of lung complications after an internist inserted a chest tube in the wrong side of his body. Only about 22 percent of the mistakes led to malpractice claims or lawsuits. The database is unusual in that it contains information on all incidents (not just those that resulted in a claim), and for that reason the rate of surgical mix-ups reported in the study is likely more accurate than those in previous studies, Stahel says. The main culprit in cases such as these is human error, Makary says. "We rely on the nurse to tell us the side of a hernia repair, and the nurse can make mistakes. We rely on the surgeon's memory, which is fallible." Even the best surgeons can be expected to make mental errors occasionally, he says. 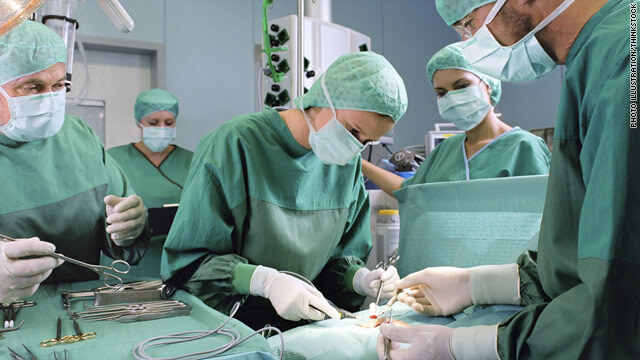 Health organizations have tried to put an end to surgical mix-ups. The American Academy of Orthopaedic Surgeons has launched an initiative called "Sign Your Site" that encourages surgeons to initial the actual surgical site before operating. And the Joint Commission, a nonprofit group that accredits hospitals and other health-care facilities, has developed a protocol for surgeries that includes having a presurgery "time out" -- a pause during which the surgical team double-checks that the patient and site are correct. But these protocols "are not sufficient," Stahel says. They only apply to the operating room, he says, and nearly one-third of the botched procedures in the study took place in doctor's offices. Moreover, the study showed that many operating-room mistakes start out in biopsy labs or during the imaging and diagnosis process. "A lot of wrong-side, wrong-patient errors occur outside of the operating room," Stahel says. "We should have time-outs for labeling for samples. If the lab mixes up the sample, the consequences may be worse than erroneously cutting off the wrong leg. I think we should extrapolate time-outs to internal medicine [and] laboratories."